The applications for standard 2" gauges are innumerable. 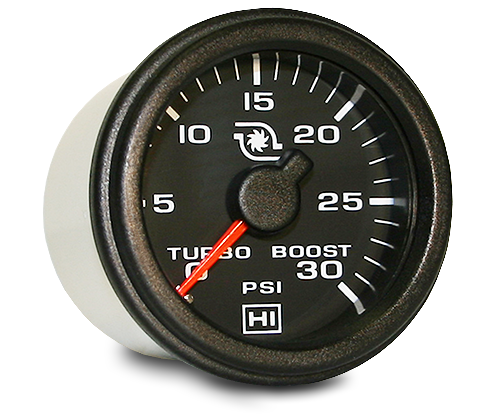 From industrial control panels and recreational vehicles to irrigation engine panels, you'll find Hewitt gauges doing the job. Liquid level and pressure gauges are direct reading instruments, driven by the column pressure generated in the sender by the height of the liquid. Connections are made utilizing proprietary push-in fittings that include an "O" ring seal. 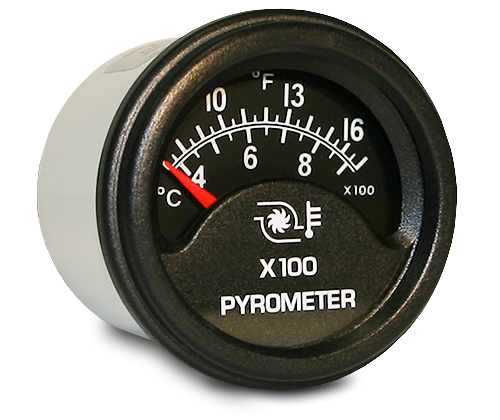 A variety of pyrometers and temperature gauges round out the category. Take a closer look at these quality gauges by clicking on each of the links below. 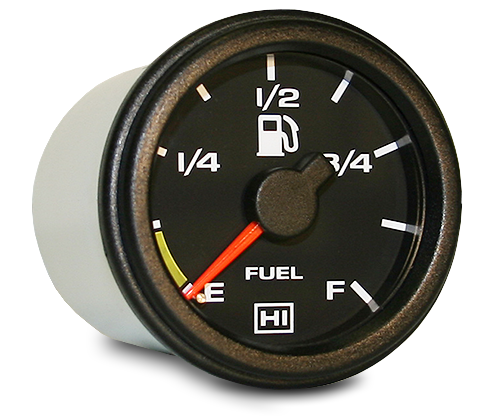 Hewitt's liquid level gauges are direct reading instruments designed to indicate the current level of fuel in the engine's fuel tank, the amount of oil available for the engine's hydraulic system, the current level of water in the vehicle's potable water tank and the current temperature of transmission fluid in the vehicle's transmission. Hewitt's pressure gauges are direct reading instruments designed to indicate the current pressure in the fuel lines leading from your fuel pump, the current pressure of the oil around the engine, and your engine's boost pressure when the turbo is operating, within a range of 0-50 psi. Hewitt's pyrometers measure and display extremely high temperatures, such as those found in your engine's manifold pre-turbo or near the exhaust pipe flange. These 2" diameter single and dual pyrometers feature 100° and 250° dial sweeps, and indicate a wide range of temperatures. Moderate operating temperature is very important for a healthy transmission. Quick spikes in high temperature caused by the loss of transmission fluid or other means can sometimes result in a burned up transmission. 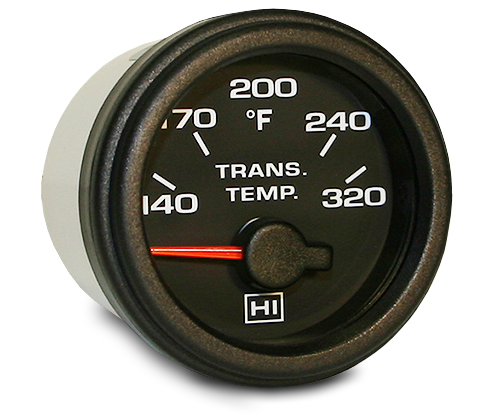 Hewitt's 2" diameter transmission temperature gauge will indicate a temperature range of 140°F to 320°F.